Early bloom progression has slowed to a crawl as cooler temperatures have inhibited bud development. 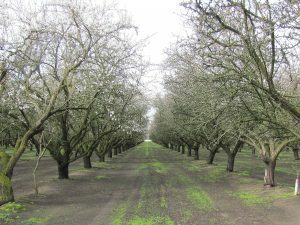 Only trace amounts of open flowers are present in most orchards throughout the state, while the progression of petal tissue emerging from the green buds has slowed immensely in the last few days. A few early blooming varieties like Avalon and Sonora have a measurable percentage of viable flowers open, but overall still are under 5% bloom. 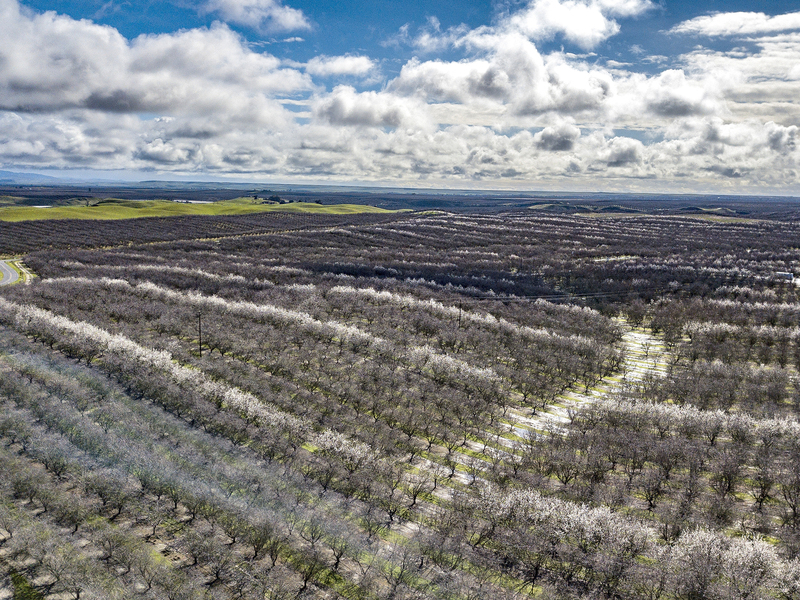 There is a wide range of variability in these early varieties as a few orchards are over 20% open, while some have no open flowers. The late blooming Butte and Padre are starting to break dormancy as green tissue is beginning to emerge from the buds. 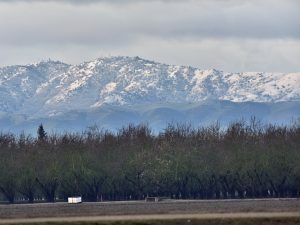 Cool temperatures and rain dominated the weekend and most of the almond growing regions stayed below 60 degrees during the day. Multiple storm fronts moved through all parts of the state. dropping as much as an inch of rain in the Sacramento and Northern San Joaquin Valleys. High winds accompanied the storms making bee activity almost non-existent, though there were not many open flowers to pollinate. 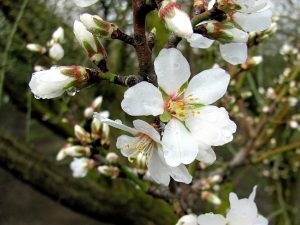 First treatments for bloom time diseases are expected to begin this week as flowers continue to emerge. 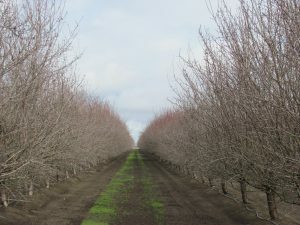 Growers have the grass on their orchard floors mowed down and are making sure their irrigation systems are working, in case freezing temperatures return this year. The last beehives to be delivered are still arriving to orchards, as wet weather has made orchard access difficult the past couple weeks. From Blue Diamond Growers, delivered right to your inbox.